All eyes are on Harvard after the plaintiff’s filings in a lawsuit last Friday  argued that the University’s admissions policies produce “negative effects” on Asian-American applicants. The case could affect the future of race-conscious admissions practices at Harvard and other universities, higher-education experts predict. Students for Fair Admissions (SFFA)—a group that believes “racial classifications and preferences in college admissions are unfair, unnecessary, and unconstitutional”—filed a motion for summary judgment in a case alleging Harvard discriminates against Asian-American applicants by maintaining undergraduate racial quotas for its admitted class. Drawing on more than 90,000 admissions documents the U.S. District Court in Boston compelled Harvard to hand over to the group earlier this year, SFFA presented expert analyses concluding that the subjective factors Harvard considers during the admissions process—things like personal qualities and an “overall” rating each student receives—disadvantage Asian-American applicants. The filings Friday provide one of the most expansive looks into Harvard’s famously secretive admissions process in recent history, including an outline of how Harvard conducts admissions deliberations and statistical analyses of admit rates from the past decade. has not seriously considered race-neutral alternatives to its admissions process—a mandate the Supreme Court recently stressed in its decision on a similar race-conscious admissions dispute, Fisher v. University of Texas, in 2016 . Julie Reuben, Warren professor of the history of American education, said the case represents a “serious threat” to the future of affirmative action, but cautioned that concerns about the ability of universities to consider race when making admissions decisions should not prevent them from assessing their practices to ensure they are not discriminatory. Still, the broader higher-education world last week bristled with concern that the pattern SFFA identified betrayed implicit bias in Harvard’s rating system, which assigns values between 1 and 4 to applicants on numerous categories, including academic, extracurricular, athletic, personal, and “overall” application strength. Natasha Warikoo, an associate professor of education who has written extensively on diversity in higher education, said she worries that a conversation about implicit bias in Harvard’s assessment of Asian-American applicants is being conflated with a conversation about the benefits of affirmative action. She sees race-conscious admissions as a lever to obtain more diverse classrooms and to address historical legacies of oppression. “There are very good reasons for why we would want to give underrepresented minorities a leg up in college admissions,” she said. “In a sort of legal framework, it fosters a diverse learning environment. If people are really going to be educated, they have to have exposure to different perspectives, so you need a quorum of underrepresented minorities on campus,” she continued. “For me, the other reason is inequality, the historical and ongoing exclusion of African Americans, Latinx communities, and more.” She said the college admissions process is fundamentally an “unfair” process that reflects the realities of inequality in the country, and that race-conscious admissions policies are “one small mechanism” to address racial inequality. Troubling her as well is Edward Blum’s involvement in the case. Blum, the leader of SFFA, is a conservative provocateur who has been at the helm of a line of legal challenges to race-conscious admissions policies at universities across the country, most recently in Fisher v. University of Texas. Harvard’s filings said his proposals were either infeasible or would not achieve the institution’s goals, and in some cases might lead to a significant decline in the population of African-American and Latinx students at the College. For the University, proving that these race-neutral alternatives are not feasible is a major hurdle in the case, especially in the aftermath of Fisher v. University of Texas. In that case, plaintiff Abigail Fisher, a white woman, alleged that she was rejected from the school based on her race. Pointing to admitted candidates who she believed were less qualified, Fisher argued the school’s admissions practices were biased against white applicants in favor of underrepresented minorities. The case was argued twice before the Supreme Court, which ultimately voted 4-3 to uphold Texas’s admissions policies. Experts at the time believed the ruling would not have wide-ranging ramifications for race-conscious admissions programs across the country. Justice Anthony Kennedy, who wrote the majority opinion, called Texas’s admissions policy—which at the time automatically admitted the top 10 percent of a school’s graduates into its flagship program—“sui generis,” or of its own kind. But the Court mandated that college affirmative-action programs must be narrowly tailored to accomplish a specific goal, and that universities must prove that race-neutral alternatives to their policies were not feasible. 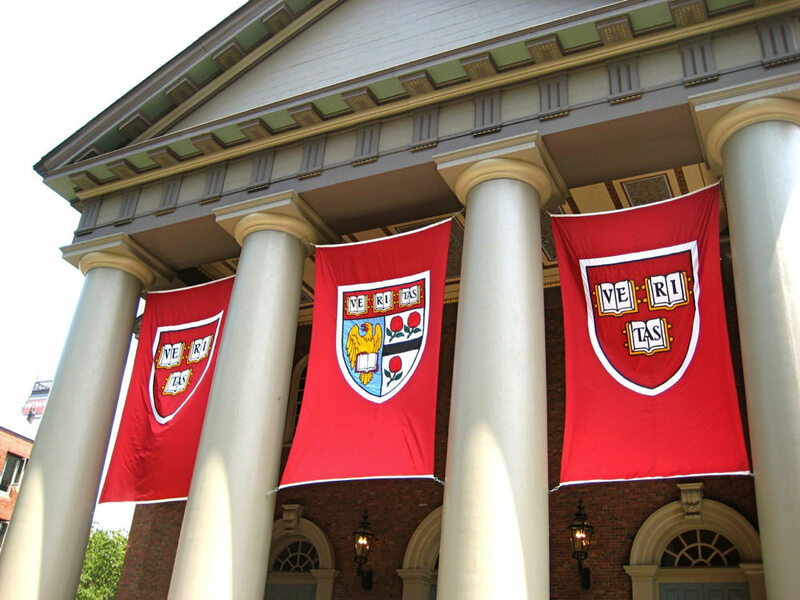 Harvard’s case is the first high-profile admissions suit in which the guidelines established in Fisher will be tested. Both Reuben and Warikoo believe race-neutral alternatives are not as efficient at addressing diversity on college campuses, but they cited admissions policies like the University of Texas’s “10-percent plan” as the most effective of the bunch. “There are other kinds of proxies, but they do not work as well as taking direct consideration of race,” Reuben said. Litigation like the SFFA case pending against Harvard may lead courts to rule universities can only use “those kinds of indirect proxies,” a decision Reuben said would reduce the ability of colleges to draw more diverse students. The SFFA case is scheduled to go to trial in October.